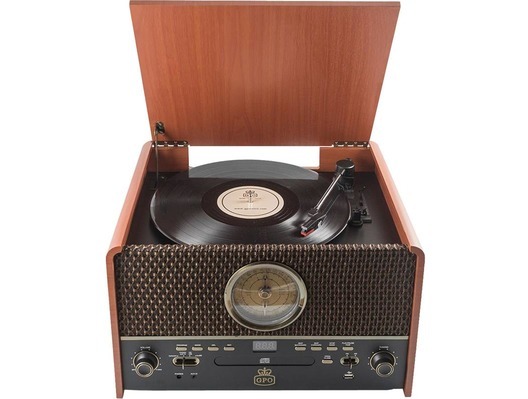 The GPO Chesterton is a vintage style record player with a wood effect finish and 3-speed turntable. 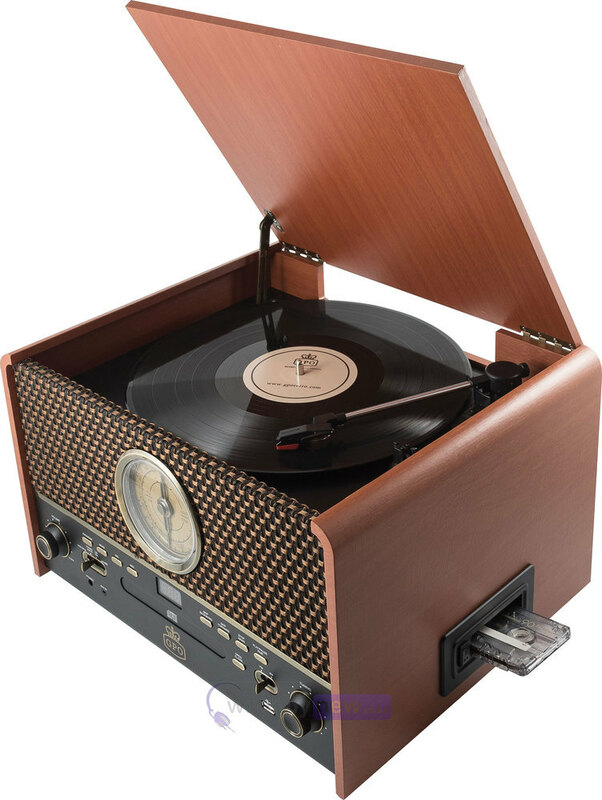 It features MP3 and USB playback and also allows you to record your vinyl onto a USB stick. 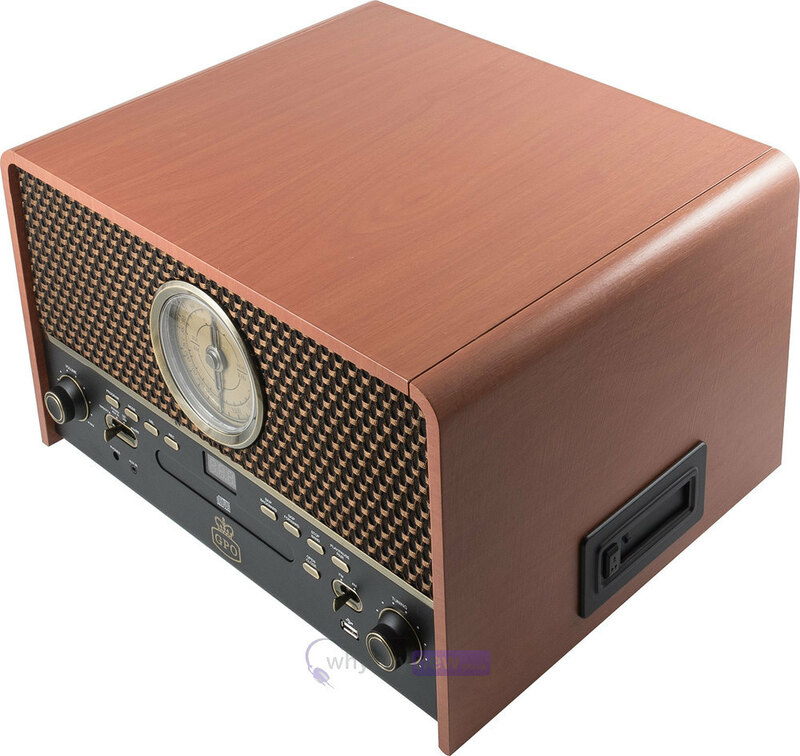 The vintage style grill hides built in speakers and an FM radio with analogue tuning. 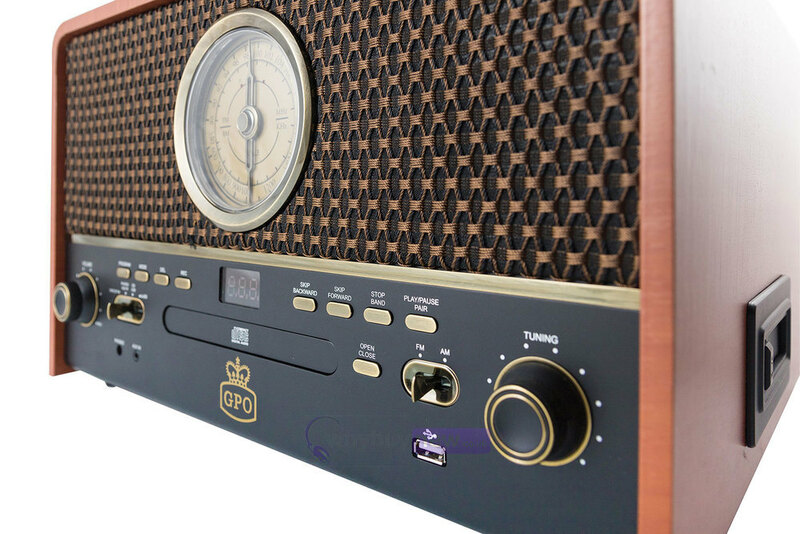 The Chesterton also has two jacks, one for an Aux In to plug in speakers and an Aux out Phone jack for headphones. 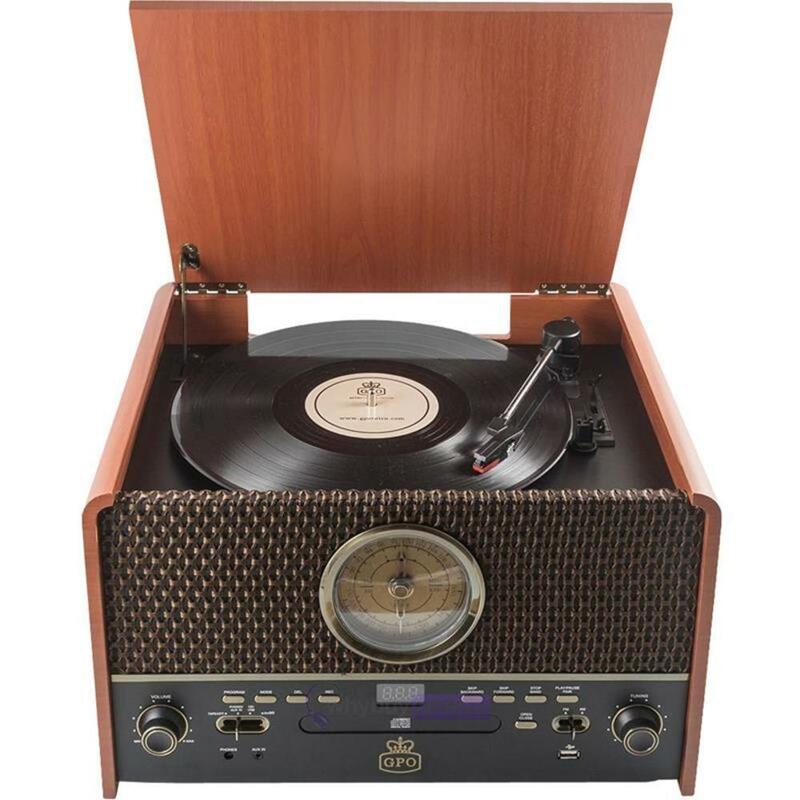 The Chesterton also features a CD player with cassette and radio.